But these resources are limited and linked. Given the limitations - how will we get there? Global thinking on resource sustainability is undergoing a revolution. 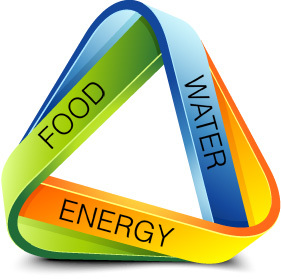 A new approach is taking hold that recognizes the economic, environmental, and social consequences of the intimate connections linking water, energy and food. These connections are both global and local in nature. and ways to produce more food. At best, single-resource strategies fail to see the big picture. Produces drinking water, but the desalination process consumes a lot of energy. Harness the energy captured in plants, but growing these plants consumes large amounts of water and cropland. Produces renewable energy from the sun, but requires huge tracts of land for installation. 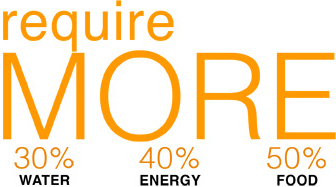 In order to address the water-energy-food nexus, we need multi-resource productivity (MRP) solutions. 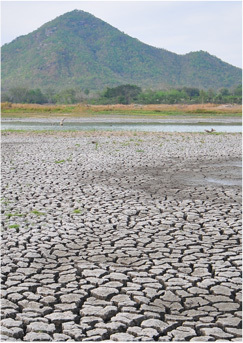 of water, energy, and food without consuming the other resources. Aquate is working to promote the development of a global MRP standard. 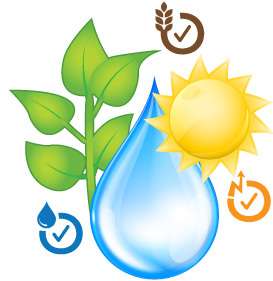 Gain clean water normally lost to evaporation without consuming energy or land. Gain clean affordable solar energy without consuming water or land. Gain land for agricultural or other uses without consuming water or energy. Working with communities and stakeholders, we custom design, install, and maintain our infrastructure on water reservoirs. Our innovative, bankable solution brings together the industry standards and best practices of floating reservoir cover systems and photovoltaic systems. Both of these systems have been deployed successfully in thousands of locations around the world during the past 30 years. We provide 100% long-term financing. Lower electricity bill; no upfront payment; flexible payment structures. Aquate Group, with offices in Israel and the United States, specializes in developing and financing multi-resource solutions and projects that address the global water-energy-food nexus. The Aquate team and its 26 shareholders have over 30 years experience that include: managing floating reservoir cover projects; experts in the fields of reservoir infrastructure development; clean energy production; management and finance; policy and regulation; water management and quality assurance; and agriculture. Contact us to explore how we can help you address your resource nexus challenges.